"The sensitivity of the Japanese interpreter. Subtle features, chiseled muscles, a rounded interpretation, wrapped in the white cloud of Butoh, and the bewitched face, with a great charisma. The dancer searches the shadows, in an intimate work with a thousand facets, instinctual, sensual and esthetic." Sayoko Onishi is a Butoh Master. She was born in Hokkaido, Japan. Her dance and choreography are based on the practice of butoh. In this art, she mixes all her practices and melts in her dance elements of every culture she has met, with the desire to unite in her experiences the West and the East. Since 1990, she has been a brilliant solo career as a professional dancer in Europe, working both as a choreographer and as a teacher. Sayoko Onishi is also a teacher of Tai Chi and Qi Qong, disciplines she studied at university in China. 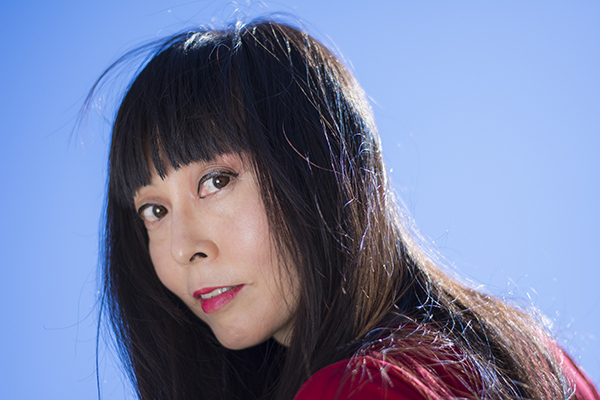 Sayoko Onishi has mainly performed solo in renowned international theaters in all Europe (Berlin, Amsterdam, London, Roma, Palermo), in China and Japan and received numerous international awards. Since 2009, she collaborates regularly with the French company Man'ok & Cie in Nancy (France) with the project MA2 (Move Art Two). © Sayoko Onishi photographed by Giuseppe Renato De Luca.